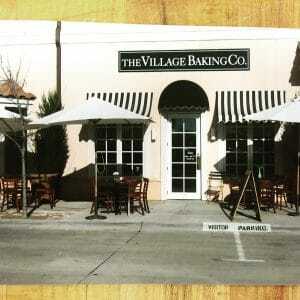 Labor Day Bakery Reflections | Village Baking Co. Yesterday was Labor Day, a day of rest and recognition for all of those who work. As a bakery, we’re supported by so many hardworking individuals — artisans with awe-inspiring ethic. 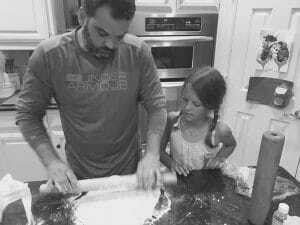 Each step of the baking process takes physical labor, patience, and skill. 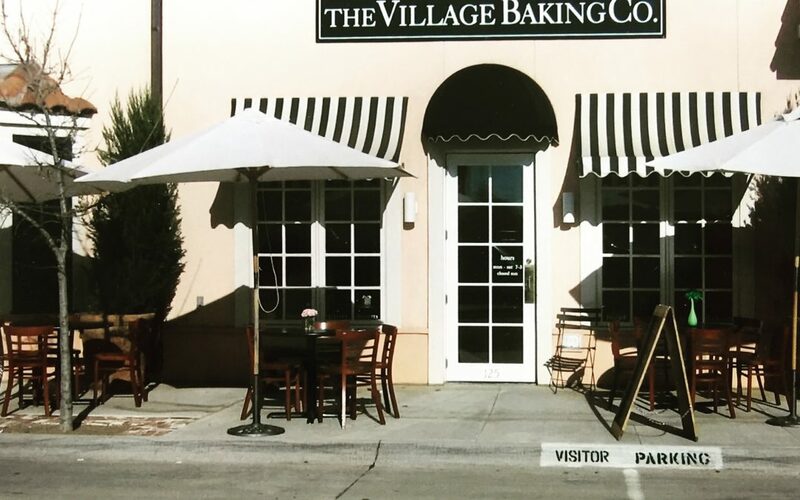 We want to say thank you to all of our team members, past and present, who have helped shape Village Baking Company into the bakery that it is today. We also wanted to reflect on where we came from, and what it means to us to labor for what we love. 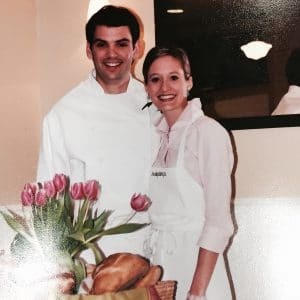 Below, Kim Cooper recounts the early days of VBC in Colleyville — growing from a small cafe space into a wholesale bakery. Every morning in five short hours in the bakery kitchen, Clint would produce, all by himself, the entire amount of product we would sell that day: An assortment of artisan breads — such as sourdough, baguettes, multigrain bread, batards, ciabatta, jalapeño cheddar — to a variety of croissants done the right way — pain au chocolat and pain au jambon. These were complicated procedures that relied on mixing, proofing and baking off just right. Fresh cranberry scones, bran and blueberry muffins, cinnamon rolls, granola, and three different kinds of quiche would also be made from scratch at the same time. While this was all going on, Clint would have a large pot of chicken stock boiling for a homemade soup of the day. Weeks went by and we couldn’t keep the counters full of fresh baked goods. Long lines spilling out our doors for lunch made us excited and nervous at the same time. We were only a three-man show; Clint in the kitchen and me and one employee up front. “How would we ever keep up?” was the burning question in our hearts. Clint was getting no sleep and we were both exhausted, working 16-20 hours a day. We lived in a tiny, one-bedroom apartment where we would stay just a few hours to eat a large pizza in bed and fall asleep watching the Food Network. I remember, as Clint would get out of bed at 1 AM to go start breads, my body would ache and my mind would worry: How in the world could he keep going? As days and weeks went on, the wholesale business continued to grow out of our back door. Sales were easy, but keeping up with production in our tiny kitchen was tough. Hiring and training employees was exhausting. On top of that, Clint was baking, taking care of books, increasing sales and delivering bread. You name it, he did it all the while keeping up with production of the café. I will never forget one night our head baker that had been with us for 2 years didn’t show up for work. Clint then went on to work 72 hours straight. I knew at that point something had to change — Clint couldn’t keep going on anymore. The balance of the café and wholesale was taking a toll on Clint, our family, and our business. The breaking point was when he was asleep on top of flour sacks one morning in the bakery kitchen. I knew at that moment we had to shut our retail doors. In June 2006, with heavy yet peaceful hearts, we closed our café. Clint moved excitedly forward with growing the wholesale business. The foundation of our bakery was endless hours, dedication, and a whole lot of faith. That’s ALL we had: Our time, talents, faith, hope, love for each other, and a dream. When you build a home, family, or business with a strong foundation, it will last. The roots of the early days of building the business grew deep & that’s what sustains it now. We are still dreaming. I always say when you stop dreaming you stop living! We still have lots of hopes and dreams for the bakery! This Labor Day weekend, we think of all the dreamers and self starters that are working endless hours. We think of all the hard working dedicated employees that help keep the dream alive. This IS the all-American dream! It wasn’t easy for the founders of our country, and it sure isn’t easy today, but that’s what makes our country so great. Hard work pays off. That’s what we are always telling our kids. Hard work feels good. We’re so happy that we were eventually able to reopen retail spaces in Dallas! 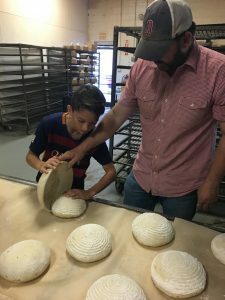 You can learn more about Village Baking Company pastry and bread selections by calling our Dallas, TX boulangeries at 214-951-9077 (Woodall) or 214-821-3477 (Greenville).